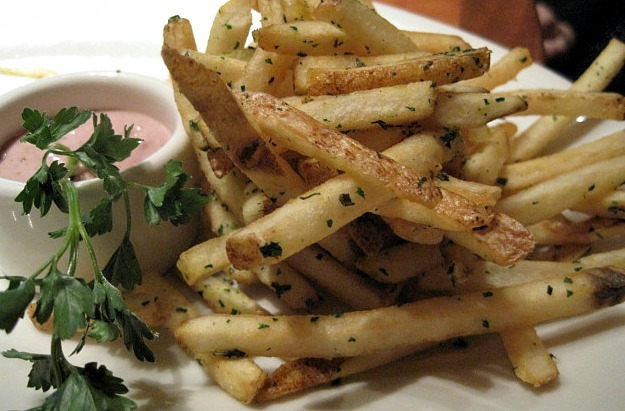 Coconut oil adds the perfect flavor to french fries. Try it out for yourself. You won’t ever go back to vegetable oil. Who can resist french fries?! Return oil to 400°F over high heat. Fry half of potatoes until crisp and light golden brown, about 3 1/2 minutes, adjusting heat to maintain at around 360°F. Drain in a bowl lined with paper towels and season immediately with kosher salt and parsley. 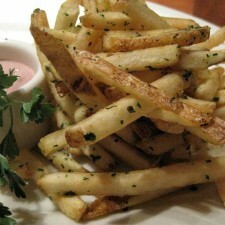 Cooked fries can be kept hot and crisp on a wire rack set on a sheet tray in a 200°F oven while second batch is cooked. Serve immediately with ketchup or your favorite dipping sauce. MM, those fries look delicious… especially since you cooked them in coconut oil. Too bad I’m on the low carb diet! Then you have to try french fries fried in coconut oil! They are the best!